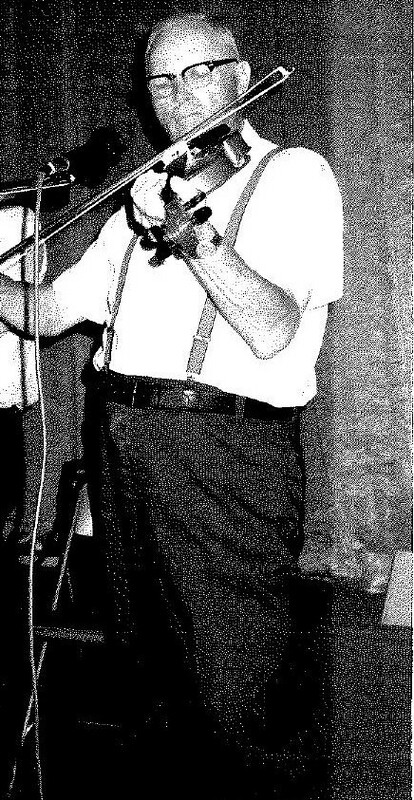 Bill Sherburne is arguably one of the best known of the Minnesota old-time fiddlers of the last 100 years. He was born in 1903 and died in 1991. Bill's father was from a family of 12 children, and they all played fiddle. His grandmother was also a very good fiddler. Bill started fiddling when he was 8 years old. He led dances in the Spring Grove area since the 1920s. There was a time when he put down his fiddle to concentrates on farming. In the 1960s he picked it up again and played dances until his last days. Beth Hoven Rotto studied with him and carries on some of his repertoire in the dances she hosts in Decorah, Iowa.